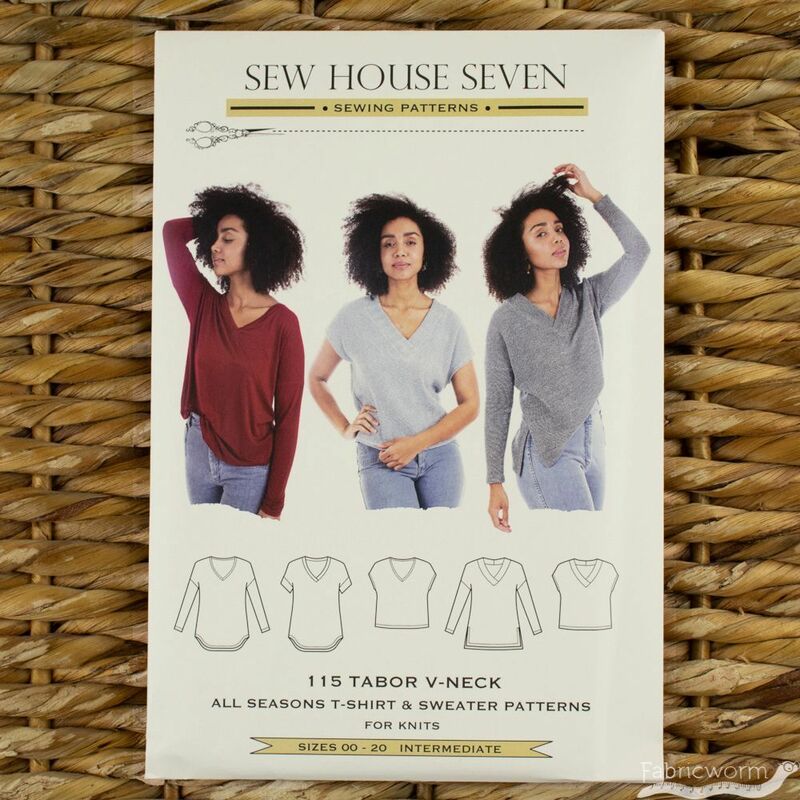 The Tabor V-Neck is a simple yet versatile style that is as dressed up or casual as you’d like to make it. 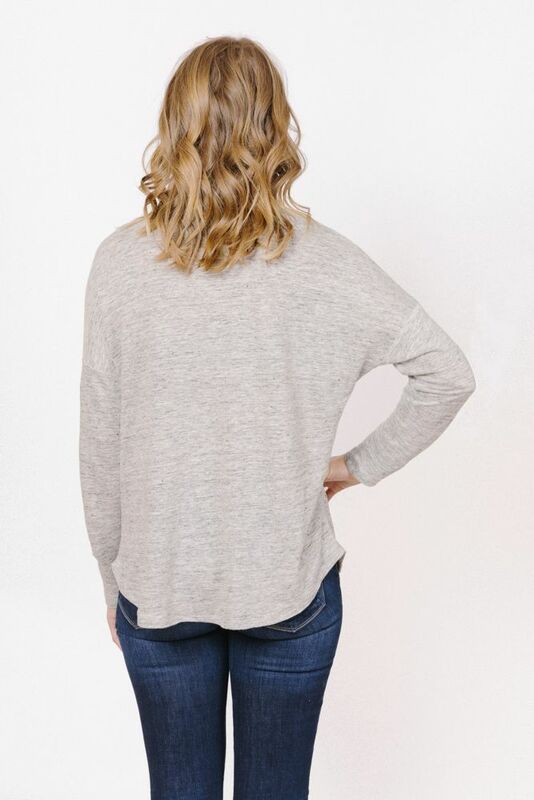 It is a loose fitting, drop shoulder tee or sweater that is built for comfort while looking smart. 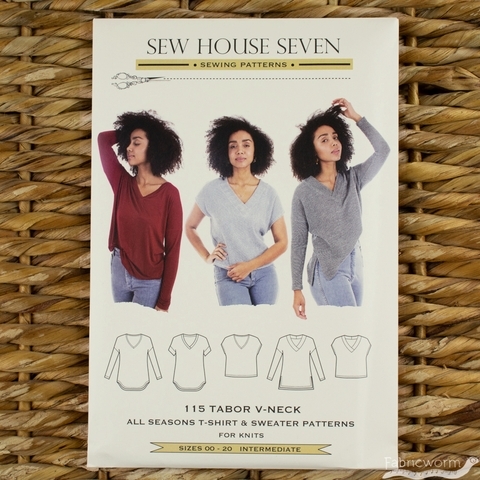 With many different options for sleeves, necklines and body lengths, you can make a Tabor V-neck for every season. 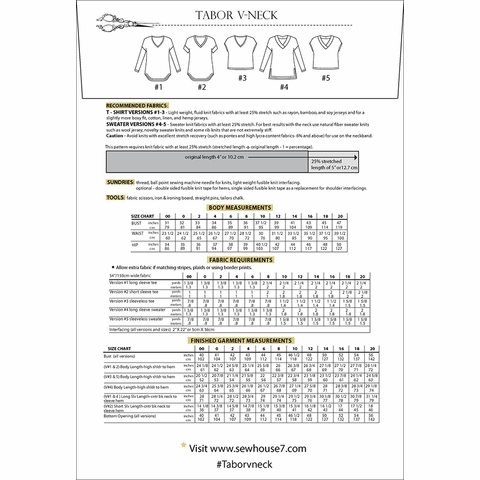 Due to its wide, oversized body width, the Tabor V-Neck T-shirts are most flattering when sewn in a light-weight, fluid knit fabric with at least 25% stretch such as rayon, bamboo or soy knits while the sweaters are best with sweater knits that also have at least 25% stretch however, do not have a high spandex content (6% or above) or have too much stretch recovery. 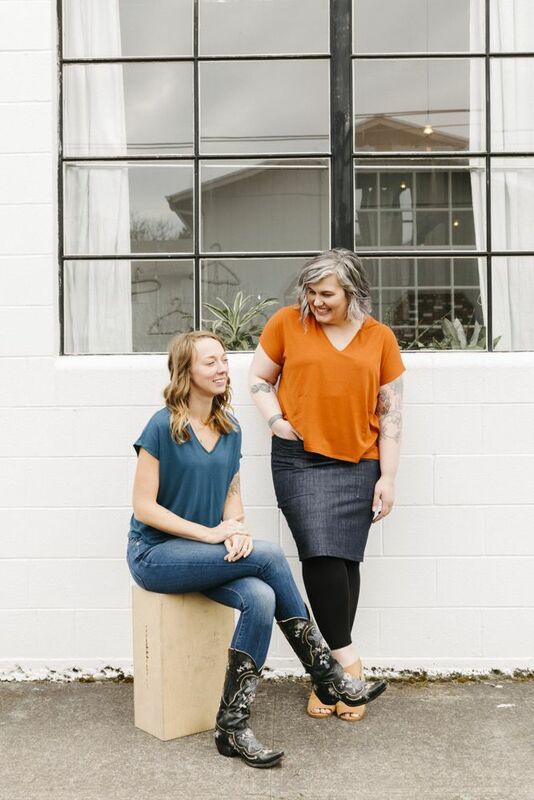 This is to allow the wide neckband to perform at its finest without puckering or gathering. 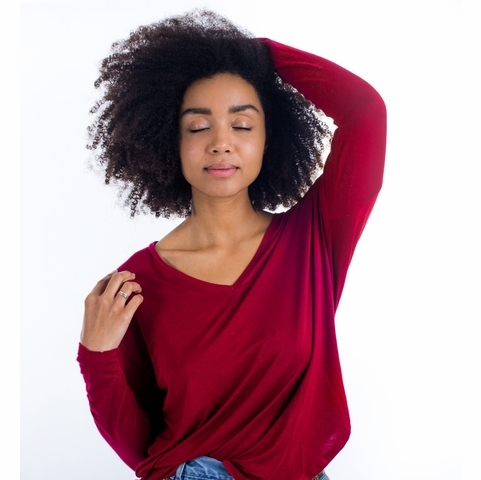 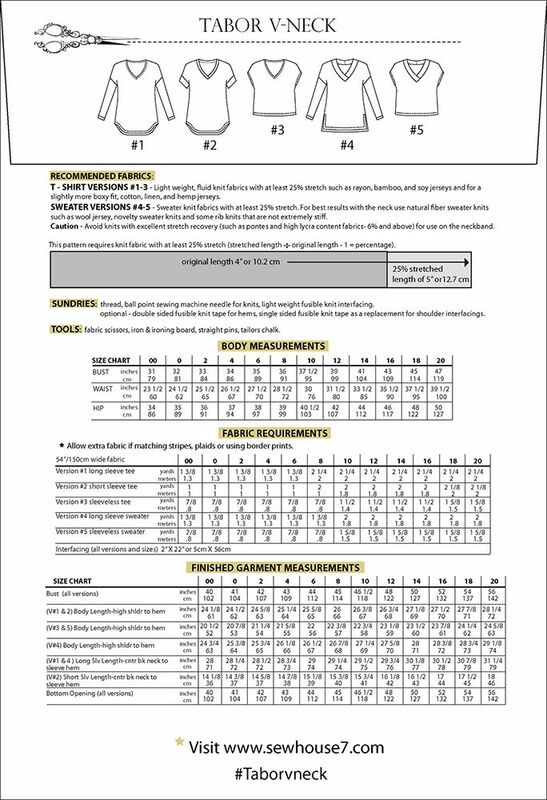 drop shoulders, loose fitting through the body tee version #1 - A deep V-neck with option A - a 3/8”/2.5mm, mitered neckband or option B - a 7/8”/2cm, lapped neckband. 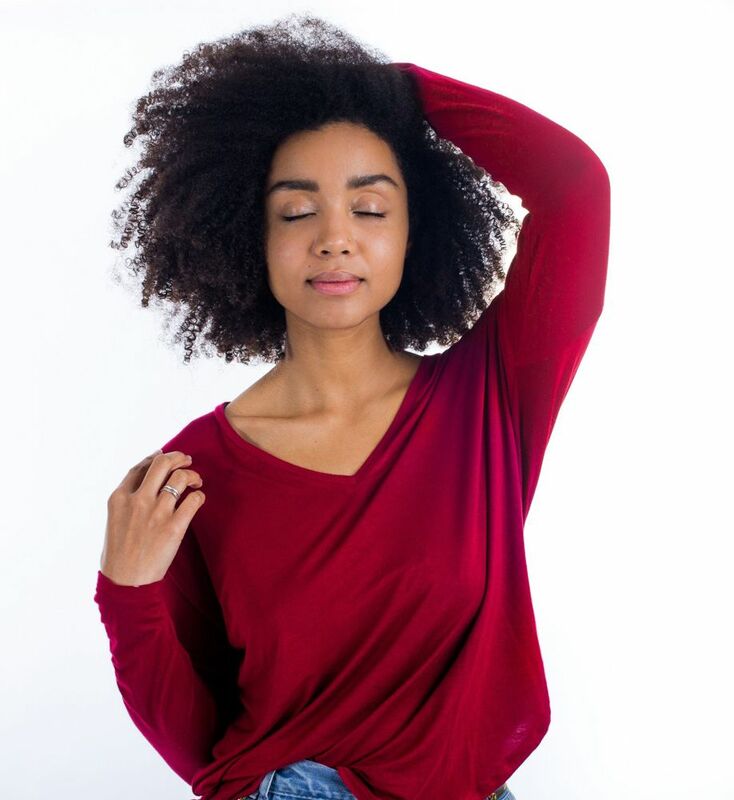 It also features a curved hem and narrow, long sleeves.